The Sunshine Vista Hotel is perfectly located in the heart of Pattaya, only 100 meters from the large Central Festival Center shopping mall and just a minute’s walk to famous Pattaya Beach. Sunshine Vista Hotel offers a selection of 130 spacious, comfortable and fully equipped rooms and suites including Superior, Deluxe, Studio, Executive Studio and One or Two Bedroom Family Suites. All rooms are air-conditioned and have private balconies. Over and above the standard hotel facilities, the bathrooms have a separate bath tub as well as the shower, and the rooms are provided with a large-screen LCD TV with 40 International Cable Programs, Minibar, IDD phone and in-room electronic safe. Studio and Executive Studio apartments include a fully equipped kitchen and dining area. Sunshine Vista Hotel facilities include a state-of-the-art fitness center, a restaurant serving Thai and Western cuisine and a rooftop swimming pool with pool bar, where guests can unwind and enjoy the magnificent view of Pattaya City. 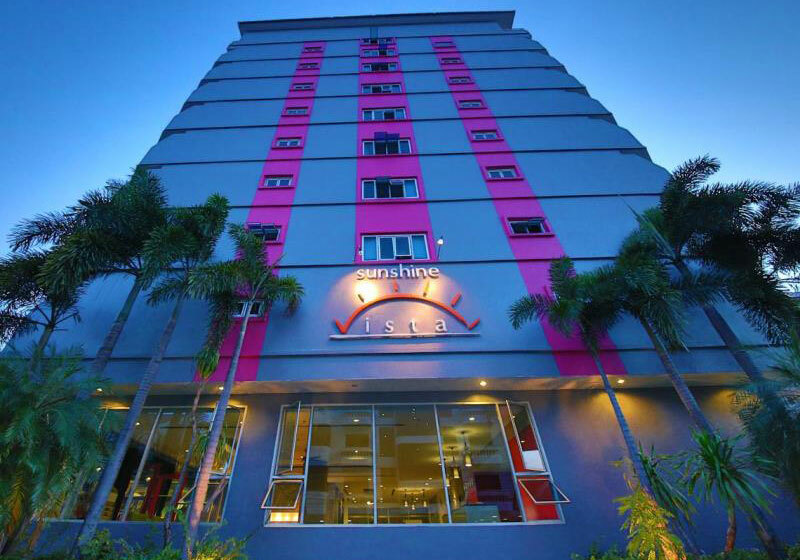 Short Description: The Sunshine Vista Hotel is perfectly located in the heart of Pattaya, only 100 meters from the large Central Festival Center shopping mall and just a minute’s walk to famous Pattaya Beach.